There are numerous issues that are being brought to the attention of many people, and some of those people are not able to connect the dots of the issue that they happen to be passionate about, with so many other issues. This group known as the global cabal has been ingenious in finding ways to keep people distracted on multiple levels, while giving them the illusion that they are living in free and democratic societies. Although perhaps slightly true up to a point, the vast majority are only now beginning to see and understand the extent of the enslavement to which humanity has been kept. Over the coming weeks, as this story is being told, CVN is going to try its best to tell the story in a way that can be followed by the listeners. The transcript to these stories will be posted in the show summary for people to read for greater clarity, and supporting documentation such as diagrams will be posted if they are provided to CVN. As was reported last week, there is a brewing local-level controversy that, to some listeners may not seem important because it is affecting only one group of indigenous people in one location. This however would be a misinterpretation because the issues that are now being brought into the light by the Grand River Mohawks have profound implications worldwide and also upon numerous very prominent people in global affairs. On various levels, this story has the potential to touch almost every continent, because abuse of the Grand River Mohawks was committed by many of the same entities directly or indirectly connected to others who have been responsible for the enslavement of humanity and the destruction of our planet for profit, power and greed. The story is about some Mohawks of three villages and their allies whose attachment to Crown treaties caused them to work together to protect the Grand River Territory and what was left of Tkanatahere GAN-AH-DAH-HEY-LAY - the traditional 5 Nations Hunting Grounds with the British up until after the war of 1812. Long before Canada. The Haldimand Territory was nearly 1 million acres and partially leased - earning revenue for the Mohawks and others of the formerly (American) "Six Nations" - at the end of hostilites. Power of Attorney was vested by "Six Natons" chiefs, warriors, and clan mothers - to Joseph Brant, a Grand River Mohawk (original founders of the League of Peace). Within the next decades following Brant's death, that territory would be reduced to Reservation No. 40 administered by the "Six Nations Elected Band Council" under Federal laws such as the Indian Act. What makes this story important, is that, finally, an indigenous nation that is still truly free has the legal proof to expose the fraud and corruption, but it is also a nation that has committed to opening doors with other indigenous nations and even national governments to begin implementing plans to rebuild this planet and restore lands and freedoms to not only indigenous nations, but to any human seeking to live under the great tree of peace in harmony and unity not only with others but also in sacred bond to the Earth that sustains us. This particular story starts in Canada, but it can link to virtually any other case of abuse towards indigenous peoples, their Earth wisdom or their Earth-honouring traditions. They are not unique, but little by little, their voices are once again uniting under the possibility that maybe this global cabal can shut down once and for all, and it begins here and it begins now. Before we begin, let’s take a look at an example of indigenous racism in Australia. One scandal that broke out last August involved a celebrated indigenous Aussie Rules footballer named Adam Goodes. Goodes' indigenous mother has her ancestry linked two tribes in Australia. The full controversy involving Goodes can read in a link in the show summary. The controversy appears to have started when a young football fan called Goodes an ‘ape’. Goodes pointed the fan out to security who had her removed. She was thirteen. There were apologies, including from the young girl. Goodes, although hurt, encouraged the community to stand behind her and not blame her. His pride in celebrating in indigenous connections continued to bring repeated rounds of booing, despite his success as a player. Eventually the stress forced him into retirement, despite apologies from the club that they do not support racism. - The controversy of Adam Goodes. Stan Grant, an indigenous journalist from the Wiradjuri tribe of New South Wales, wrote of the controversy last year and won an award for his work, describing the effects of the booing on the hearts and ears of the indigenous people. At the same time he was invited to speak on a debate program where the question focused on racism in Australia. The video of that speech was released online by the Ethics Centre that sponsored the debate, and the video has gone viral. An article appearing on the London Guardian website by Melissa Davey on 24JAN reports on the story that has taken on a new importance in Australia. The article contains excerpts of the speech made by Stan Grant that has gone viral. According to the article, as of the day it was printed, the video had received 850,000 views and 28,000 shares via Facebook and had been viewed more than 50,000 times total on different uploads of the speech by the evening of the 24th. - 24JAN Melissa Davey, TheGuaridan.com : Stan Grant's speech on racism and the Australian dream goes viral. - 25JAN ABC.net.au : Stan Grant's speech on racism and the Australian dream as part of IQ2 debate goes viral. - 22JAN Alex McKinnon, junkee.com : Indigenous Journalist Stan Grant’s Extraordinary Speech On Racism In Australia Is Compulsory Viewing. - Homepage for the Australian Indigenous Education Foundation. Grant sums up the Australian version well, but it is a story that could be told in many countries with local variations, and it is happening across Canada and with the Grand River Mohawks. Until now, indigenous tribes have either had to surrender their rights and freedoms to various corporate or legal entities in order to receive any kind of recognition from national governments. Indigenous tribes that retained their natural status as free humans were not acknowledged and in the case of the Grand River Mohawks, were just treated as corporate entities and had their land stolen because the government and its partner entities thought that they could get away with it without getting caught. At least part of the reason for the cabal attempts to suppress indigenous groups is for pretty much the same reason as they attempt to dumb down and harm children through dangerous vaccines, violent video games, and super-unhealthy foods. It comes down to fear. The cabal establishment fears what today’s younger children and indigenous cultures represent: an awakening of humanity’s deeper spiritual inner power. Very few indigenous tribes, if any, have had any kind of legal footing to stand upon to exert their rights and freedoms according to their status as natural beings, free from the corporate entity enslavement. Until now. The Grand River Mohawks have all the pieces to make a lawful claim, not only for their own lands, but also a claim on behalf of indigenous tribes worldwide, and humanity in general. It is all connected, in ways that are more profound than most will fully be able to grasp right away, and to stretch it even further, these connections go beyond human consciousness and beyond even our planet to include civilizations and technologies beyond earth and awareness that transcends the current human 3D perception of it. That however is further down the road. What is happening this week is this. In Brantford, there is a controversial land transfer that was expected to close on the 28th. This land was to transfer from Brant County to the city of Brantford itself. All the information about this land deal cannot be fully revealed at this time but will be forthcoming when the time is right. The transfer is being protested by the Grand River Mohawks because they can show that they still have the deeded title to this land according to an agreement that was made even before the land was known as the country, or corporation of Canada. No one has the right to transfer any land to any one because this land was never surrendered, nor were there any negotiations involving the traditional and natural guardians of that land. There are two terms that need to clarified at this point. The Province of Ontario website describes the ‘Six Nations of The Grand River’ according to their page these six nations are the “Mohawk, Seneca, Oneida, Cayuga, Onondaga and Tuscarora nations”. On that same page, there is a link to land claims where people can view all outstanding land claims. Strangely, the Mohawk land claim is not present, because the debt is not acknowledged, although it can be proven. - Government of Ontario webpage for the Six Nations of Grand River. An article by Jim Windle, appearing on the Two Row Times news website on 26JAN writes the following: “ The second of two consultation meetings on the Brant-Brantford land transfer, was held at the Grand Valley Church on Powerline Road on Thursday evening. As in the first meeting last week at Lions Park, it was full to the walls, and both Mayor Ron Eddy representing the County of Brant and Chris Friel representing Brantford were grilled by residents unhappy with the addition of Tutela Heights to the transfer of land from the County to the City. As far as the residents are concerned, this is their major issue, however as many are now beginning to learn, the issue is much much bigger than just this. - 26JAN Jim Windle, TwoRowTimes.com : Residents oppose land transfer. The Mohawk lands were deeded to them for their guardianship before Canada came into existence, and thus the Canadian government has no right to expropriate these lands from the Mohawks. Yet, this is exactly what they have been doing, with numerous big cities and a large industrial presence upon these lands with no compensation paid to the Mohawks. This is what the Grand River Mohawks are able to prove. At present, there is a massive, outstanding debt owed to the Grand River Mohawks, a debt that was formally acknowledged by a former mayor of the City of Brantford, but has not been acknowledge by the provincial government of Ontario nor the federal government in Ottawa. - Indigenous and Northern Affairs Canada: Manual for the Administration of Band Moneys - Table of Contents. Where it may get a bit confusing for listeners is in understanding the process of conflict but also the process of resolution. We have numerous corporate entities and one major global corporation involved in the lands that have been deeded for guardianship by the Mohawks. These entities operate under the commercial jurisdiction of admiralty law. Although there is an extremely large amount of funds that are owed to the Mohawks with interest resulting from monies that have been taken without permission from accounts that were holding Mohawk funds in trust, the primary issue is not so much about the money, but more about the land. The Mohawks have determined that it is more important to secure the lands that are rightfully theirs, while also helping other indigenous nations to secure lands that lawfully belong to them, so that all indigenous nations can begin to work together, and also with any allies, to recreate a healthier, more peaceful, and more Earth-honuring prosperity that will benefit those choosing to live in ways that honour the great Tree of Peace. More information will be forthcoming next week. - 03JUL2013 Gurmeet Kaur and Choong En Han, TheStar.com : Walton International closes local ops. - 25JAN Shannon Pettypiece, bloomberg.com : Walmart closing shops. - 24JAN Aaron Wherry, CBC.ca : Justin Trudeau returns from Davos with good press, results to be determined. Click here to listen to the CVN broadcast. Also, visit CVN on Facebook. 2. ( 18:13 ) RUSSIAN-EGYPTIAN COLLABORATION ON SUEZ PROJECTS HINTS AT GREATER US ISOLATION. - 24JAN SputnikNews.com : Russian Suez Industrial Zone Agreement 'Expected Next Week’. - 24JAN SputnikNews.com : Arab-India Cooperation Forum Backs Dialogue With Iran Based on Int'l Law. 3. ( 20:39 ) SIX YEARS LATE: 2010 IMF REFORMS ARE FINALLY ACTIVATED, AND BRICS COUNTRIES ARE BENEFICIARIES. - 25JAN Michael Snyder, The Economic Collapse Blog: Economic Activity Is Slowing Down Much Faster Than The Experts Anticipated. - YouTube Video : IMF Managing Director Christine Lagarde announces 2010 reform activation. - 27JAN IMF.org : Historic Quota and Governance Reforms Become Effective - Press Release No. 16/25. - 28JAN The BRICS Post : IMF reforms: China, India, Brazil, Russia get greater say. - 28JAN Sputnik News : Getting Greater Say: Russia Makes It Into Top 10 IMF Member States. - 28JAN RT.com : BRICS gets greater say in IMF. - 18JAN Radio Vatican : Pope Francis meets with IMF's Christine Lagarde. - 26JAN Radio Vatican : Pope Francis meets Iranian President Rouhani. - 28JAN Radio Vatican : Pope Francis meets with actor Leonardo DiCaprio. Click here to read "Enter the BRICS". 4. ( 29:08 ) CHINESE CURRENCY POSITIONED FOR POSITIVE GROWTH. - 17JAN Dhara Ranasinghe, CNBC.com : Yuan as a World Currency? Getting There Fast. 5. ( 33:38 ) POSSIBLE BREXIT: THREAT OF UK LEAVING EU IS A MAJOR CONCERN OF US-CONTROLLED IMF. - 23JAN SputnikNews.com : UK Sterling Devaluation in Line? Brexit Outlook, Oil Spur Market Fears. - 23JAN Sputnik News: 'We Have Two Big Concerns': Brexit, Refugee Crisis are Top IMF Issues. - 27JAN The Canary : Wales just delivered a blistering defeat to Cameron and he’s trying to pretend it didn’t happen. 6. ( 39:50 ) X-FILES TIMES TWO: CIA RELEASE X-FILES AHEAD OF RE-LAUNCH OF ANTICIPATED PROGRAM ON DISCLOSURE. - 27JAN RT.com : CIA releases X-files on aliens, flying saucers ‘for Agent Mulder to use’. - 25JAN The Event Chronicle : Take a Peek at Our “X-Files”: CIA Releases Their Top 10 Declassified UFO Files! - Freedom Of Information Access (FOIA) from the CIA Library. 1. Scientific Advisory Panel on Unidentified Flying Objects, 14-17 January 1953 (PDF 907 KB). 2. Office Memorandum on Flying Saucers, 15 March 1949 (PDF 110 KB). 3. Memorandum to the CIA Director on Flying Saucers, 2 October 1952 (PDF 443 KB). 4. Meeting of the OSI Advisory Group on UFOs, 21 January 1953 (PDF 194 KB). 5. Memorandum for the Record on Flying Saucers, 3 December 1952 (PDF 179 KB). - Homepage For the Navajo Indigenous Tribe. - 25SEP2014 RT.com : US to pay largest Native American nation $554 mn in landmark settlement. - 27AUG2013 HuffingtonPost.com : New Element 115, Ununpentium, May Join Periodic Table. - 2JAN Lee Spiegel, HuffingtonPost.com : 'X-Files' Creator: 'I Thought The FBI Was Going To Shut Me Down’. - Homepage for the Citizen Hearings on Disclosure from 2013. - 25JAN Gordon Duff, Veteran’s Today: Disclosure: What Fox Mulder Isn’t Telling Us. 7. ( 63:00 ) HYPERLOOP TECH RACE: US VS RUSSIA. - 24JAN RT.com : Supersonic transport coming to Russia? Hyperloop says talks in progress. 8. ( 65:38 ) ‘TAILS’ BROWSER WITH TOR ENGINE: POSSIBLE BROWSER SOLUTION FOR THOSE LOOKING FOR MORE SECURITY. - 27JAN Steve Dent, engadget.com : Edward Snowden's OS of choice gets a major update. - Homepage for the browser ‘Tails’. - Information about ‘IceDove’ the email application for Tails that is basically the ‘Thunderbird’ email program that Mozilla uses, but with a different name. 9. ( 67:38 ) CIA ENERGY DISCLOSURE: FUSION REACTORS VS TRADITIONAL FISSION REACTORS. 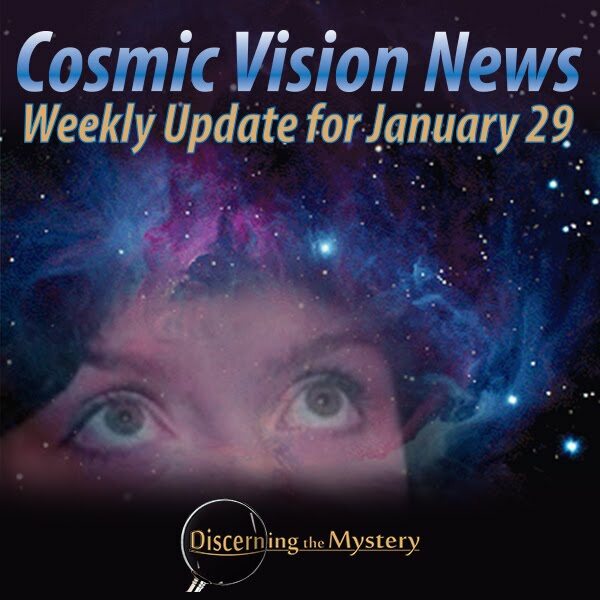 - 28JAN The Event Chronicle : US Military Free Energy & CIA UFO Disclosures Are Here. - Difference between ‘fission’ and ‘fusion’ nuclear reactions including some of the scientific information for those who are interested. 10. ( 75:16 ) SIXTEEN UNCOMFORTABLE FEELINGS THAT INDICATE ONE IS ACTUALLY ON THE RIGHT PATH. - 27DEC Brianna Wiest, TheUnboundedSpirit.com : 16 Uncomfortable Feelings That Actually Indicate You’re On The Right Path. Click the link below for the full summary and recorded broadcast.